Worried about surviving the collapse of civilization as we know it? Just want to be able to handle yourself better in the Great Outdoors? Either way, here are 10 of the best survival books you need in your library. Long before it became cool, trendy and preppy, survival was a deadly serious business for the military. That’s why the single best survival book is Air Force Regulation 64-4, the U.S. Air Force Search and Rescue Survival Training field manual. Originally published in 1985 and reprinted by Barnes & Noble in 2003 — this 620-page book covers everything. While this gem may be hard to find, used copies are cheap and can be had. If you can only have one book to take with you on the road to the Apocalypse, choose this one. This long time bestseller, the SAS Survival Handbook by John “Lofty” Wiseman is a well-respected, all around best survival book. Topics include being prepared, making camp, food, first aid, disaster survival, self-defense and security. Wiseman served in the British Special Air Service (SAS) for 26 years and based the book on his experience with this elite fighting force. Third edition. Author Jim Cobb’s Prepper’s Long-Term Survival Guide leads the reader through serious consideration of long-term survival in the event of disaster. It might not be the all-time best survival book, but if you just want to build a squirrel trap. Cobb’s book is for those who want to be one of the few likely to survive if things don’t get back to normal for months – or years. Les Stroud of Survivorman fame offers a personal roadmap in Survive! Essential Skills and Tactics to Get You Out of Anywhere for adapting your own personal situation and skills to a survival situation. Like his show, he has produced one of the best survival books, which take readers on a tour of specific locales and climates. Good information but also an entertaining read. Welcome to the Zombie Apocalypse. Robert Richardson’s guide is not about woodcraft – it takes you face to face with cyber-attacks, power grid failures, and total loss of communications. Learn to survive urban disasters, crime, violence and terrorist attacks in one of the best survival books you will read. Not for the faint of heart. The title says it all. Survival expert Cody Lundin’s 450-page When All Hell Breaks Loose explains what your family members must do to prepare and educate themselves now. It covers survival psychology and the skills needed to survive a disaster at home, in the office, or in the car. An oldie but a goodie from John McPherson, the Primitive Wilderness & Survival Skills. Jammed with hundreds of pictures and diagrams, this is one of the best survival books for a step-by-step “how to” guide to outdoors lore. Written before zombies and urban survival became the thing, this is a book about hands-on skills in the wilderness — a good one if you’re interested in knowledge that can be used any time you’re outdoors. If you really want to go old school in best survival books, you can’t beat Wildwood Wisdom by Ellsworth Jaeger, originally written in 1945. Based on life in the 1800’s, this is how people lived and survived independently when it was that or nothing. No “I drank my own pee to survive” reality TV B.S. Proven concepts and techniques learned the hard way by real pioneers. For those who prefer the military flavor of survival, Mykel Hawke’s 640-page tomb is a must have. “Comprehensive” is the word that comes to mind. It covers everything. Good choice if you want one best survival book, not a whole library. Gregory Davenport is a former U.S. Air Force survival instructor. Wilderness Survival is a good survival book if you want to focus on surviving a sudden, short-term situation – think plane crash in the wilderness. His focus is on keeping you calm, in control and alive until assistance shows up. 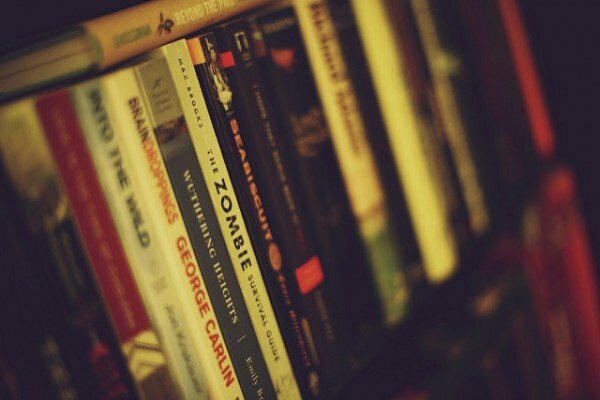 It would be great to have all these best survival books on the shelf when the SHTF. Good solid printed reference books will be worth their weight in canned goods when a failed power grid silences all those computers and smart phones. But if you’re not into keeping books around, read the ones that discuss the psychology of surviving, how mental attitude – not building water stills and squirrel traps – is what keeps people alive in desperate situations. It’s a common theme from almost every survival expert. Get your head around attitude and the will to survive, and your odds of making it will go way up.